USFSP Employees and Students have free admission to the Dali Museum with their USFSP ID card. The Dali Museum is an architectural masterpiece exhibiting an unparalleled collection of works by Salvador Dali. 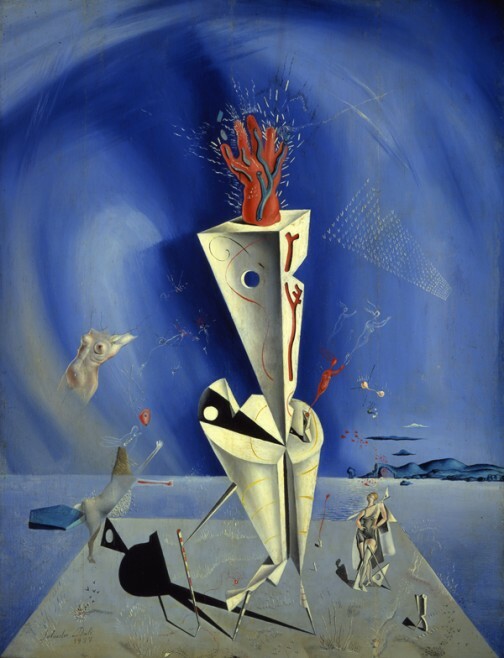 Visit the Dali Museum Website to check out the current exhibits and Salvador Dali permanent collection. This immersive and enriching multi-media exhibition tells the story of the unlikely alliance between two of the most renowned artists of the twentieth century: brilliantly eccentric Spanish Surrealist Salvador Dali and American entertainment innovator Walt Disney.Presented through a multimedia wonderland of original paintings, story sketches, conceptual artwork, objects, correspondences, archival film, photographs, and audio – this comprehensive exhibition showcases two vastly different icons who were drawn to each other through their unique personalities, their enduring friendship, and their collaboration on the animated short Destino.Born three years and half a world apart, both Disney and Dali bore boyhood imaginations grounded in their upbringing in the 1900s, encouraging their lives, careers, and legacies to be paralleled on a profound level. A deeper look into the lives and artistic prominence of the Surrealist and the dreamer—highlighted by hand-written letters and alongside filmed dramatizations and audio re-creations—will show just how alike these two innovators were in blurring the lines between reality and dreams.